There are two Tailgater options. The Original Tailgater strap is for 20lb and 30lb propane tanks in pre-2012 pick-up trucks without the built-in ladders. $17. This strap is made in China and proved by users for over 6 years. 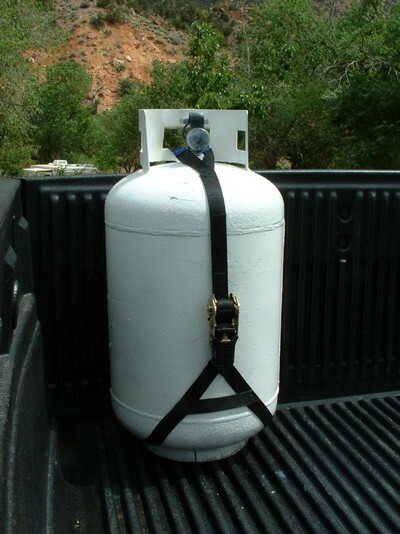 Tailgater 2 is for ALL truck models and 20lb, 30lb and 40lb propane tanks as well. $19.95. This strap is made in the USA and is available now. Very positive comments from Users of the new strap too $19.95.